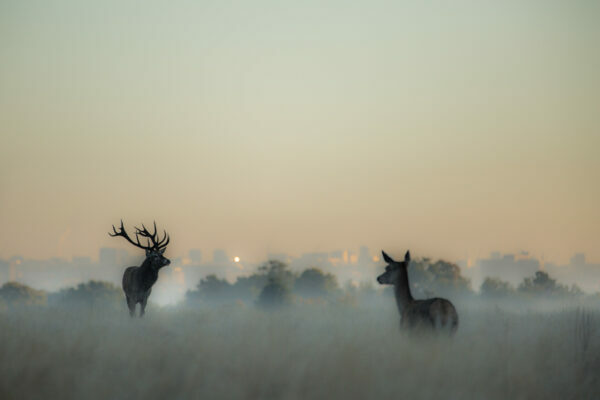 This picture of a red deer stag and hind in Richmond Park, London, is part of a portfolio of pictures which aims to convey something of the romance and fury of the annual rut in visual form. The prize for a stag of establishing dominance is the privilege to form his own harem of hinds. Here the “romance” of the moment is captured against the background of the city of London and this gives the picture a slight “Romeo and Juliet” feel. 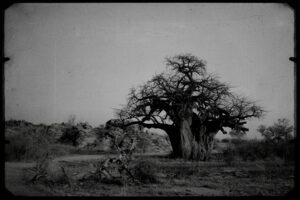 The picture is printed using the Giclée process on Hahnemuhle Photo Rag 308 fine art paper. Giclée Fine Art Prints are extremely high quality, archival grade, digital prints that use an ultra fine inkjet printing process to produce images of intense colour and vibrancy. 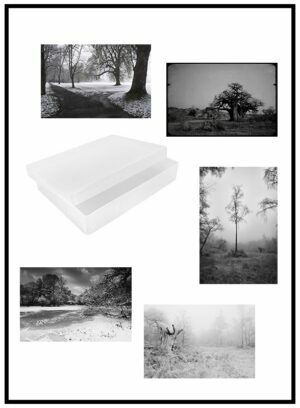 Giclée printing is widely regarded as one of the very best photographic and fine art printing methods currently available. This is a 12 x 8 inch print in a limited edition of 100. The print is sold with a signed and numbered Certificate of Authenticity. 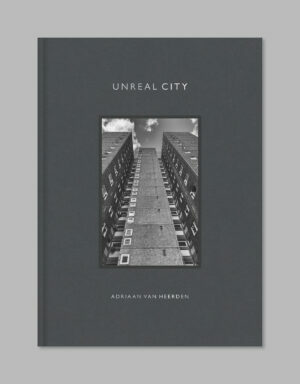 FREE shipping in the UK, other countries £5. To sign up for my newsletter please click HERE.